For the second consecutive week, the Moy system produced over 600 salmon. Anglers experienced fluctuating water levels all week with catches becoming more widespread. The mid-river fisheries in particular saw an increase in catch numbers. The Moy Fishery had a good week with almost 50 salmon being landed. On the Ridge Pool, Paul Maloney, Offaly, caught an exceptional sea trout on spinner weighing 5.5 lbs., while Spanish flyangler, Miguel Gomez Diaz, was successful on the Weir Pool. Cracking 5.5 lbs. Ridge Pool sea trout for Offaly angler Paul Maloney. Miguel had a total of four grilse, three of which he released. Also on the Weir Pool, Jean Daniel Rouante from France had two on fly. Fly anglers on the Cathedral Beat also did well with Richard Ormston and Colin McQuire, both UK, landing a 4.5 lbs. grilse each. The fly also proofed successful on the Mount Falcon water where Dutch visitors, Mark Geesink and Paul Vanerkemp, caught 6 grilse together. Colin Jones, UK, had two fish on worm on the Coolcronan Fishery, while Urs Inglin from Switzerland landed a five pounder on Gannon's also on worm. The Foxford Fishery produced 3 grilse for Peter Mountgomery, Northern Ireland and German regular, Klaus Lehmann, had two on Cloongee, all on worm. Anglers on East Mayo availed of the good water levels for most of the week with flyfishing and bubble & fly being quite successful. Amongst the lucky anglers were Steve and Josh Challinor from the UK with 4 fish between 3 and 9.5 lbs. and Jim Summers, Dublin, who had one grilse on worm. 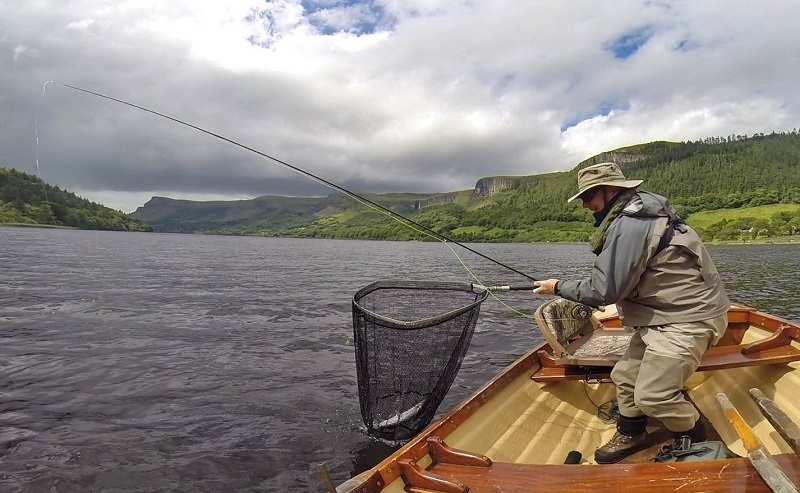 Anglers on Glencar Lake enjoyed very good sea trout fishing in recent days. Bill McNeary and Terry Bradley from the Rossinver Fishery Syndicate visited Glencar last week and reported good numbers of sea trout up to 2.5 lbs. Jim Henry and Ricky Fabozzi also scored on the lake catching fine sea trout all between 1.24 lbs. and 2.5 lbs. Sea trout angling on Glencar Lake will improve further from now on and there is always a chance of a salmon, too. Sea trout action on Glencar Lake! 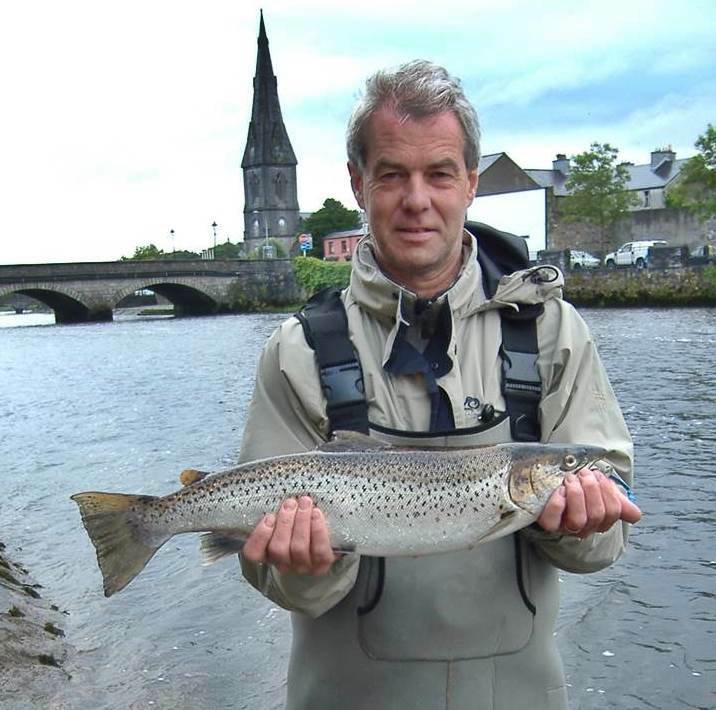 The good Peter fishing continued on Lough Arrow during the week with anglers catching high-quality brown trout mainly late in the evenings and well into the night. Amongst the successful anglers were Thomas Walsh with 4 fish averaging 2 lbs., Francie White who reported 3 three trout up to 2 lbs. and J.J. Mc Dermottroe with two trout at 1.5 lbs. and 1.75 lbs. respectively. However, one of the best trout for the week was caught by Paul Cullen who had a cracker of 5.5 lbs. on a Green Peter.